Scottish Lib Dem leader Willie Rennie MSP says changes in Scotland must now be followed up in the rest of the UK. Devolving further powers to the Scottish Parliament will whet the appetite for reform elsewhere in the UK and change the dynamic of Scottish politics completely, according to Scottish Liberal Democrat leader Willie Rennie MSP. Willie Rennie was speaking on 13 January at the first of a series of speaking events held in Edinburgh by the David Hume Institute and supported by ICAS, featuring the leaders of the main Scottish political parties. 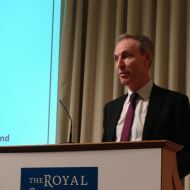 Mr Rennie said that Scotland's status in the UK and Europe, and its economic recovery, are all potentially at risk because of the policies of the other main parties. He said: "Labour's spending and borrowing plans put us all at risk again… the Conservatives are set on a lurch to the right that will give us permanent austerity. And, on Europe, none of the leading Conservatives can answer how they would vote if there was a referendum on EU membership. "The Scottish National Party want independence by the back door. 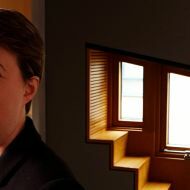 As a minimum they say they want a form of ultra-extreme devolution that doesn't exist anywhere else in the world and which would inevitably tip Scotland into independence." Mr Rennie stressed: "We must avoid a return to see-saw politics and see-saw economics." He said his party would be arguing for greater inclusion to bring more people out of poverty and into work, for improvements in childcare and for mental health to be a greater priority. On the increased powers for the Scottish Parliament, set in the Smith Report late last year, he said: "I think we have the right settlement." Mr Rennie added that the debate over land and buildings transaction tax – one of the first taxes to be devolved to Scotland already – had changed the way Scottish Parliament thinks about tax. He said: "Up to now, it's all been about how we can spend the money we've got. Now, we also have to think about the people who are paying for services as well as those who receive those services." Devolving powers over income tax would "change the dynamics of the Parliament completely." But, he added: "Now, we need to see changes in the rest of the UK. I believe that people elsewhere in the UK will want what Scotland has got. But reform will be difficult, piecemeal and incremental. The UK Constitution is in a bit of a mess and it needs to be resolved." He argued that English cities outside London would inevitably be seeking more powers to make their own decisions. Mr Rennie refused to be drawn on the Liberal Democrats' negotiating position in the event of a hung parliament in the May General Election, but he did say that a coalition administration would make for greater stability than a minority government. He said: "The Liberal Democrats put the national interest first in 2010. The national interest demanded a government that could tackle the crisis and the Liberal Democrats delivered."